Help Reinforcing 10 Gallon Tank Stand? 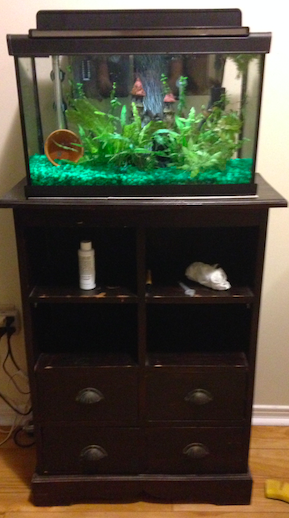 I just got a new table to hold my fish tank. 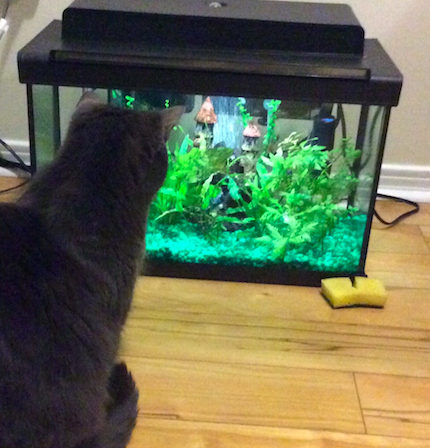 It wasn't made for a fish tank so I'm paranoid that it is going to fail. I've had it on there for about a week and I'm convinced the left side is bowing out. For peace of mind, I'd like to reinforce it. My idea was to put a single 2x2 at the back under each shelf (so a total of 4 2x2's). I'd secure them with screws on either side. Do you think this would sure up the stand? Do you have any better suggestions I could try? your stands fine... is it solid wood? id just leave it rather than screwing in stuff in. Whats the thickness? 3/4 or 1 inch? Total weight should stay at or under 100 lbs. I'd say Matty is right. If you do need bracing 4 braces is likely overkill. It is wood, but those bracing pieces are just glued in. Also, the back piece isn't structural, it's just a thin to cover. Thickness is about 3/4 inch, but again the back is very thin. I'd just run a diagonal brace on the back (as in on the wall side, not inside) from one upper corner to the opposite lower corner. Cut the ends to an angle matching the sides and screw it into both sides and the middle upright. 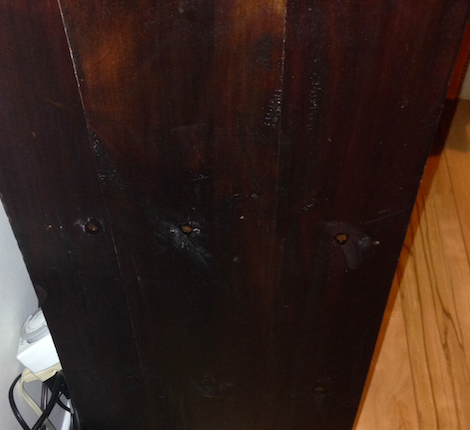 Drill pilot holes and use screws that will extend an inch or so into the uprights. 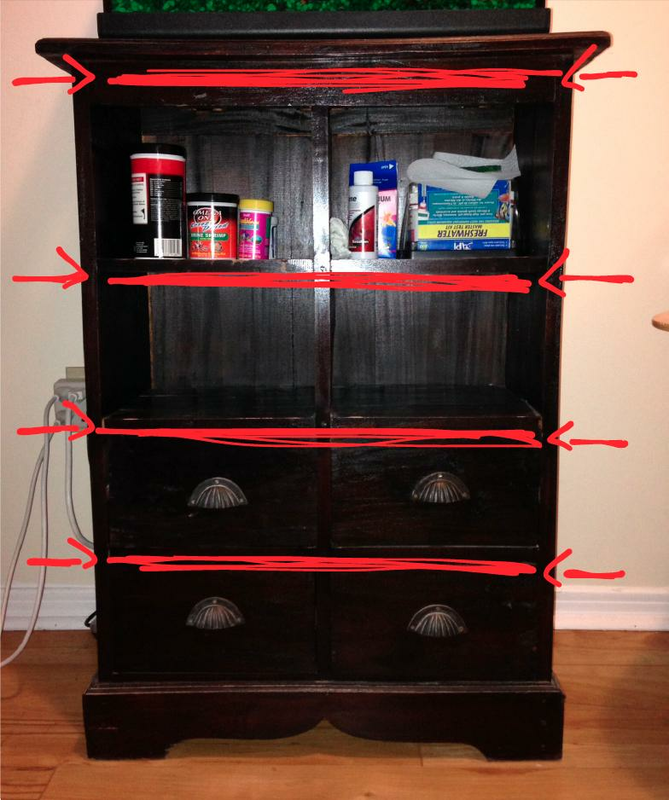 This will stiffen it up so it doesn't start swaying on you, since those thin backs aren't much help in the long term. As long as it isn't particle or press board or MDF I wouldn't worry about the sides bowing out. 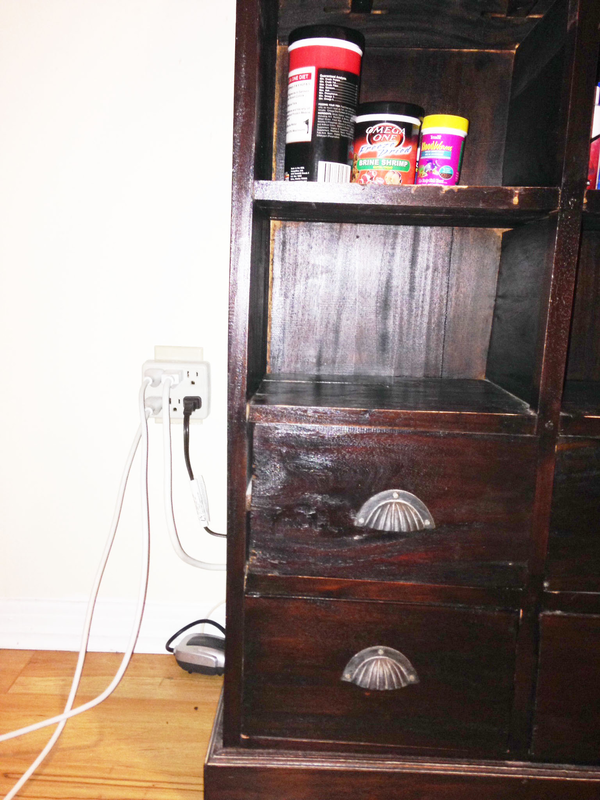 Hey all, ended up putting some wood screws in the sides and some L-brackets on each of the shelves. Also put a cross brace in the back. 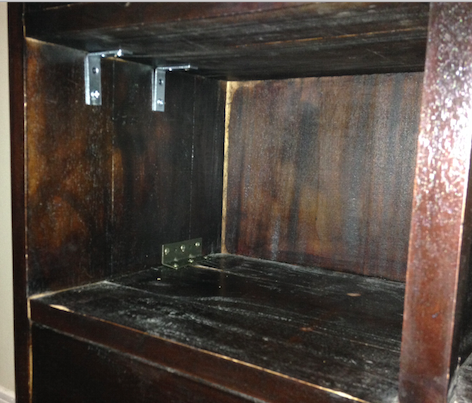 Here are the screws in the sides at each shelf. I’m going to put another bit of stain on them tonight, the pic makes it look like they are a lot more noticeable than they actually are. The following two are shots of the L-Brackets I put on each shelf. I had to use decorative ones on the base of the shelve to hide them. The ones on top are fine because you can't see them unless you look inside the shelf. 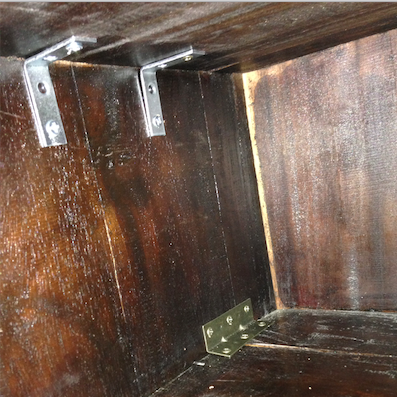 Here is a pic of the cross brace I put in the back. 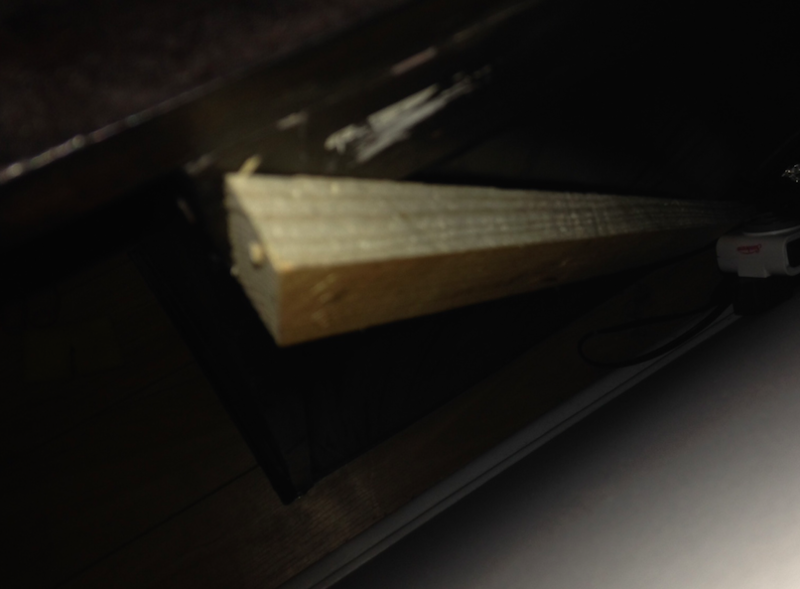 It’s a 1x2 piece of wood running from the top corner to the bottom opposite corner. The finished product! Much sturdier than before. Bonus pic of the kitty cat who seemed a little too curious with the tank on the floor. Had to keep it there while I was repairing the stand.